John Marshall Drive between Yorktown Boulevard and Williamsburg Boulevard. This green street was a part of the larger West Little Pimmit Run Storm Sewer Upgrade project that increased the capacity of the storm sewer through this neighborhood. 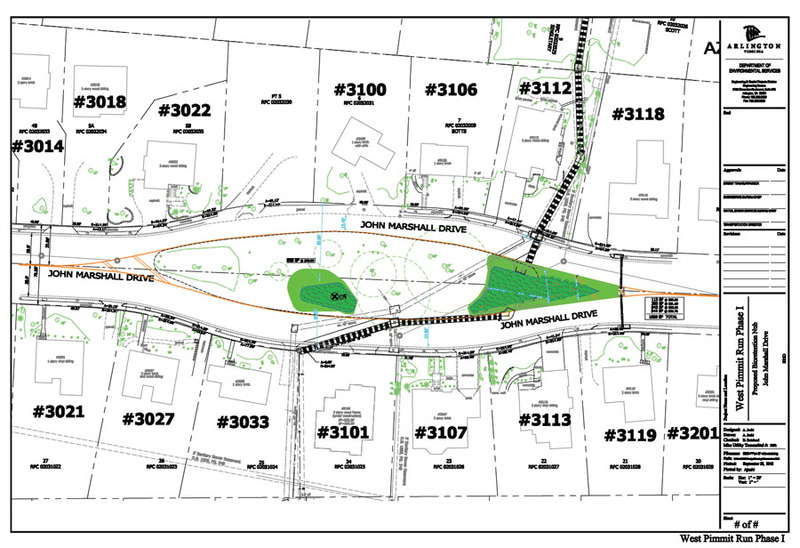 The West Little Pimmit Run Storm Sewer Upgrade page contains more detailed construction information. 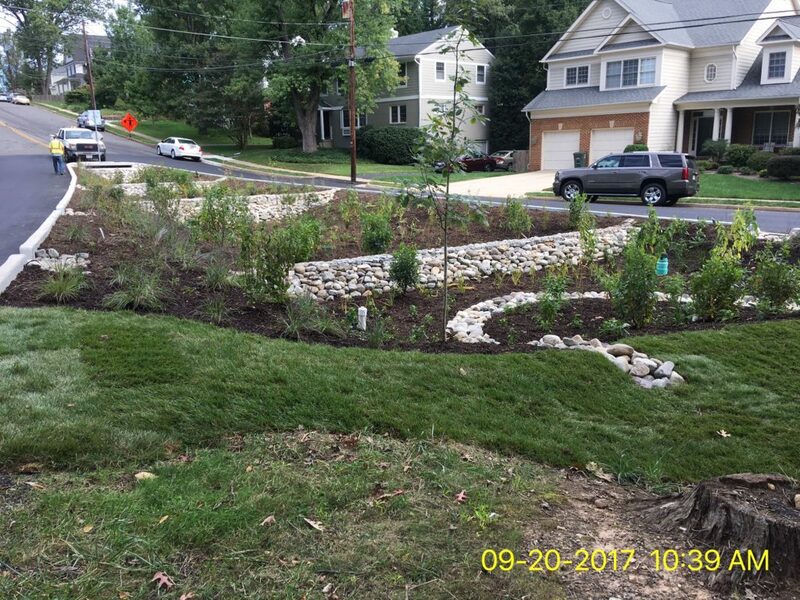 The green street rain gardens are located within the median on John Marshall Drive. Some utility laterals were be relocated. Drinking water lines were installed on both sides of John Marshall Drive between Williamsburg Blvd and Little Falls Rd. A Phase I archaeological survey was completed for the John Marshall median in February 2015. The survey did not recover any artifacts. Due to the lack of artifacts and the evidence of heavy construction disturbance within the median, the area was not deemed an archaeological site. 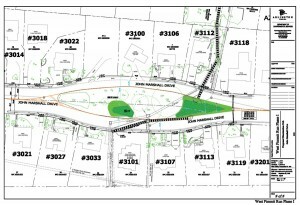 During the July 2015 public meeting, public input was sought on the option to include a path in the rain garden and on the option to have a community planting day as a part of the rain garden installation. Residents electronically voted (see timeline below) to include the path and to not have a community planting day. Oct. 2, 2012, 7 p.m. Williamsburg Middle School, 3600 N. Harrison St.